The psychoanalysts Wilhelm Reich, Otto Fenichel and Sandor Ferenczi had put the body into the focus of their interest in psychotherapy. Since then, a variety of body psychotherapy schools had been developed. Alexander Lowen, founder of BA/bioenergetics, had met Reich in the 50s of last century in the seminar to discuss the psychoanalytic theory and therapeutic practice and the social importance of the same. The impulse itself by being involved in a therapy together with Wilhelm Reich with the experience of one’s body and the interaction of personality / character structure and …………….corporal / body expression, Lowen got motivated and started his life’s work by developing the Bioenergetic Analysis / Bioenergetics as a model of understanding and practice of Body Psychotherapy . 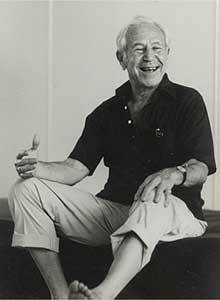 Together with other colleagues he was one the pioneers in the field of body-psychotherapy. Lowen tried to integrate into his work and into the conceptual development of body psychotherapy, well proofed analytical concepts and both the medical treatment and the prophylaxis of neuroses (prophylaxis includes the educational dimension: to enable people to a specific treatment, caring and development of one`s own body). Insofar the BA is therapeutic Treatment, general health Management and Training the well-being. Since then the field of body psychotherapy got influenced by many other concepts. Since about 1975 the BA was also transfered to non-therapeutic fields just like sports, stress-release-training, assistance at birth and others. Some of these concepts were developed by Ulrich Sollmann.